Cheryl started creating art from a very young age. Her mother and extended family immediately saw her talents and encouraged her interest by providing art supplies and art classes whenever they could. Her aunt even brought her rosemaling patterns and paint supplies from Norway. Her first pottery class was at the age of 10. She was the only child in an otherwise adult wheel throwing class but that didn’t bother her. The only thing she had a hard time with was reaching her feet to the kick-wheel. Her high school had an extensive art program and Cheryl took every class available. She was hired by local businesses to paint walls and storefront murals and was also hired as a layout artist for her local advertising newspaper. Her artwork has won first place, second place, and Best of Show ribbons in school, county, and in Air Force art shows. Upon graduation from high school, she received scholarships in both Art and Mathematics. She decided to pursue a degree in mathematics, but she chose to keep her art as an outlet for enjoyment. She continued to take numerous art classes wherever she lived including oil painting, watercolor painting, glass fusing, quilting, sculpture and metal sculpture. In 2009, following 24 years as an Air Force wife, a mother of 3 children, a teacher and tutor in mathematics, she was finally able to take another pottery class at the base where her husband was last assigned. She signed up for a 6 week course and afterwards, used the studio on a daily basis. Shortly after her pottery instructor left for a teaching position at a local college, the studio started seeing their number of art attendees dwindle. Seeing Cheryl’s artistic ability, the studio director asked Cheryl to start teaching classes. She eagerly took on that role, teaching and using the studio thus, fulfilling her love of teaching, no matter the subject. During the next four years she, and her students, were the recipients of many award ribbons at various Air Force art shows. In 2013, following her husband’s retirement from the Air Force and they moved to Fayetteville, GA. 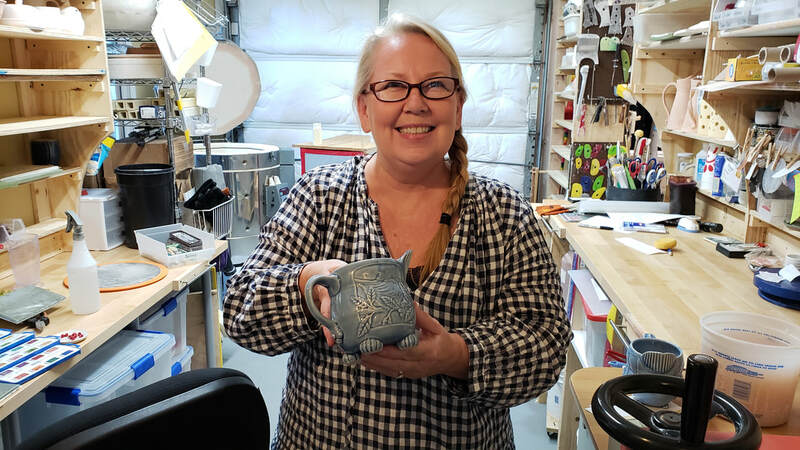 Her husband was very supportive about her passion and they chose a house that had a usable space for a pottery studio where CKPottery was born. Since then, Cheryl has continued her education in clay by attending workshops by Lauren Karle, Chandra DeBuse, Tim See, Lisa Orr, and Michael Kline. 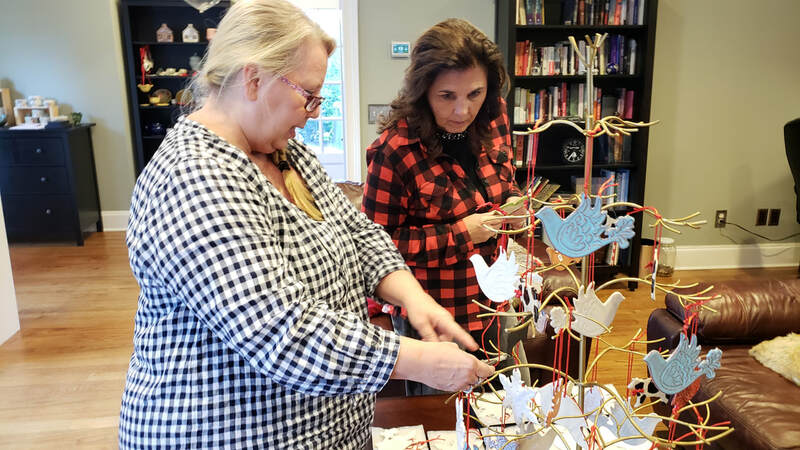 She regularly attends the National Council on Education for the Ceramic Arts Conference as well as attending the South Carolina and Alabama Clay Conferences, respectively. Cheryl also is an avid supporter and administrator for the Clay Buddies of Greater Atlanta Facebook group. Her pottery has been accepted at various shows in Georgia, Illinois, Nevada, New York, Florida and the Carolinas. ​Follow her on Instagram and Facebook to see the latest pieces she is working on.